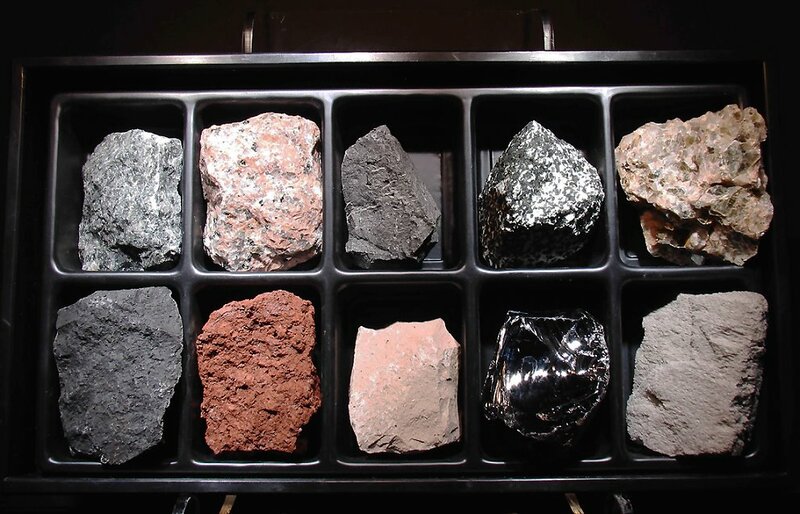 10 Large Igneous Rocks Samples in tray with compartmented insert. Gabbro, Granite (pink), andesite (porphyritic hornblende), diorite, pegmatite, basalt, scoria, rhyolite, obsidian, pumice. 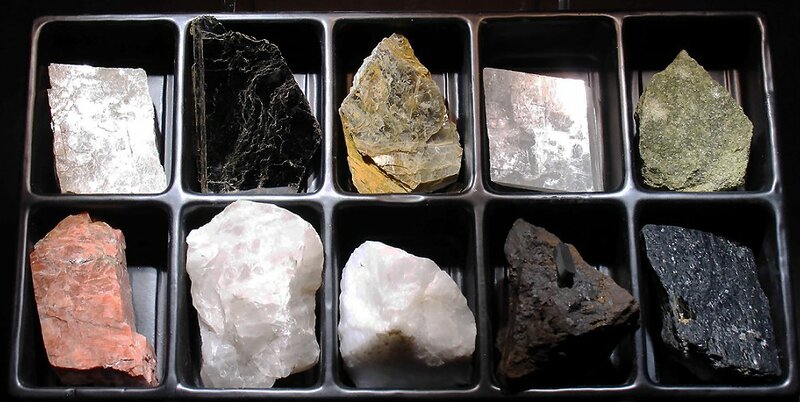 10 Large 3 inch samples of rock forming Minerals in tray with compartmented insert. Gray feldspar, biotite mica, muscovite mica, calcite, olivine, pink microcline (orthoclase), clear massive quartz, milky quartz, magnetite, hornblende (amphibole). 10 Large 3" mineral samples. 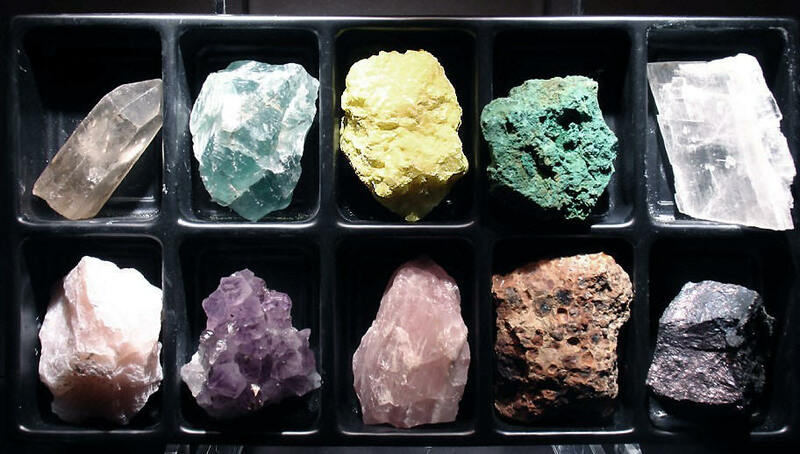 Beautiful quartz crystal, green fluorite, sulfur, malachite, gypsum variety selenite, talc, amethyst, rose quartz, bauxite (aluminum ore), bornite (copper ore). These are all wonderful gifts for an earth science teacher. Please inquire for current price list.